Business Buzz: How To Start Scrap Business In India? Scrap is many types of paper, carton, metal, and plastic. All these scraps are recycled. So, buying and selling the scrap has the smart business idea. This business looked like mass and low-class business. but, the profits in this business are attractive. In this post let us discuss how to start a scrap business? How Many Types Of Scrap Business? Paper, metal, carton and plastic scraps are the types of the scrap business. let us discuss the one by one briefly. The paper scrap is nothing but used newspaper, textbooks, notebooks and tissue paper, and have come under these paper scrap. These used paper are available to buy anywhere homes, offices, shop, and educational institutions. you can buy the used paper and sell it in the recycling industry. In this paper scrap, the paper quality is important when you are buying the used paper from the seller you will give the importance on the quality of the paper. if you supply the good quality paper you will get the high price from the buyer (industry). Metal Scarp: In this Iron, Aluminum, Pure Copper, Bronze, and Lead are have comes under the metal scrap. This scarf will purchase the iron industry and recycle industry. After buying the scrap from customers you can sell it on recycling industries or iron industry. In this also scrap also same as the paper quality of scrap will be good you will get paid high from the buyer. Carton Scarp: These Carton scraps are also called as paper scraps but the somewhat different in pricing when compared to the paper scraps. These scarf buyers were paper industries or recycling industries. Plastic Scarp: Plastic scrap was an also same as above we discussed buying the plastic scrap from customers sell it into recycling industries. What Are The Requirements For Establishing The Scrap Business? 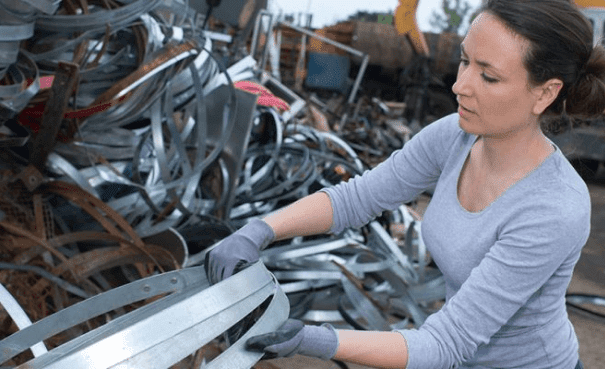 If you are starting a scrap business very first thing you have do is contact with a recycling industry, iron, paper, plastic industries, and scrap suppliers. Buy the scrap from suppliers and sell it to the industry. Investment: Every business investment is the very first thing and important. for this business, investment is required to start. our estimation will be minimum 5 lakhs to the maximum of 1 crore rupees. if you want to establish the business very big you can invest more than one crore as per your wish. Experience: If you have any experience in this business it will give the better results. if do not have any experience in this business do not invest high. because of risk in the business not good for you. after getting the grip on the business you will expand the business as you like. Godown: Godown was the need for storage for the scrap. for metal scrap and plastic not need any shelter whereas paper and carton scraps compulsory shelter required. Rent or lease the godown at the suitable location. Permissions: Take the necessary permission from the government to establish the scrap godown. Insurance: The scrap is equal to money for you so you will take care of the safety of the godown the best thing you have to choose the insurance for your business.